Two Dutch hospitals are to close at short notice with after they were declared bankrupt on Thursday. 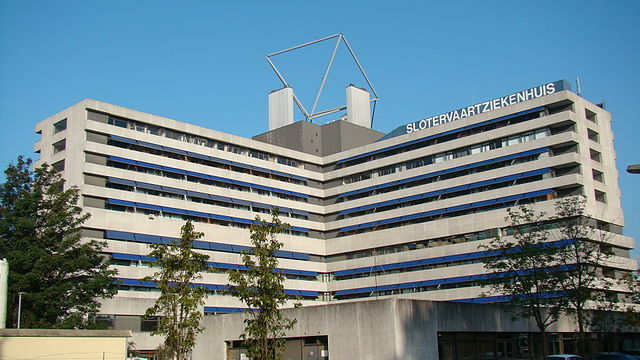 The MC Slotervaart hospital in Amsterdam and the IJsselmeer hospital group, which spans six campuses in Flevoland, were closed after their owner, the MC Group, filed for bankruptcy in two separate cases. The decision leaves around 2,500 medical staff as well as dozens of patients facing an uncertain future. Arrangements have been made to transfer the 150 patients staying at the Slotervaart hospital to other locations in Amsterdam in the next few days. Insurers have guaranteed that beds will stay open for the 200 patients in the IJsselmeer hospitals until alternatives have been found. Health insurers have agreed to keep funding the care of patients who are already at the hospital. Earlier this week insurers, including Zilveren Kruis, refused to bail out the hospital financially, arguing it was not their job. A restart for the IJsselmeer group may be on the cards, broadcaster NOS said on Thursday. Patient council chairman Cees de Bruin told NOS on Wednesday that a serious potential buyer had come forward. Flevoland province and local government officials have told health minister Bruno Bruins that the closure of the hospital group could lead to life threatening situations in the region because of the lack of nearby alternatives.